Paceite: Mineral information, data and localities. Named in 2002 by D. E. Hibbs, U. Kolitsch, P. Leverett, J. L. Sharpe, P. A. Williams in honor of Frank L. Pace (1948 - ) of Broken Hill, New South Wales, Australia. Pace is a mineral collector and ex-miner at Broken Hill. A very rare naturally formed calcium copper acetate. See also the associated hoganite. Three major mass loss steps at ~120, 400 and 600 °C were found. Klop, E.A., Duisenberg, A.J.M., Spek, A.L. (1983) Reinvestigation of the structure of calcium copper acetate hexahydrate, CaCu(C2H3O2)4.6H2O. Acta Crystallographica: C39: 1342-2344. Hibbs, D.E., Kolitsch, U., Leverett, P., Sharpe, J.L., Williams, P.A. (2002) Hoganite and paceite, two new acetate minerals from the Potosi mine, Broken Hill, Australia. Mineralogical Magazine: 66: 459-464. Frost, R.L., Musumeci, A.W., Waclawik, E.R. 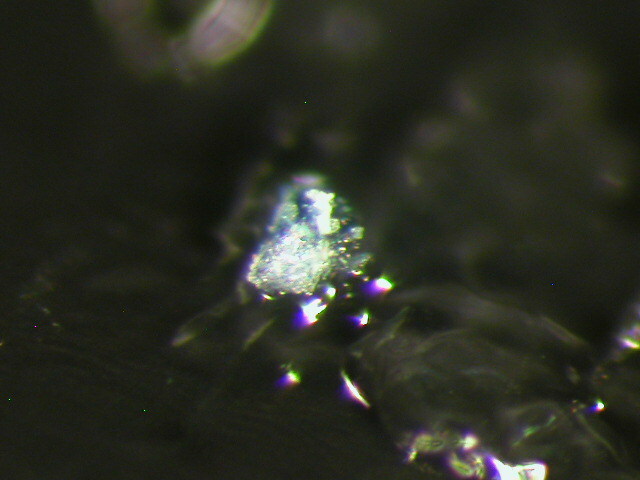 (2007) A spectroscopic study of the mineral paceite (calcium acetate). Spectrochimica Acta Part A: Molecular and Biomolecular Spectroscopy: 67(3-4): 649-661. D. E. Hibbs, U. Kolitsch, P. Leverett, J. L. Sharpe and P. A. Williams (2002): Hoganite and paceite, two new acetate minerals from the Potosi mine, Broken Hill, Australia. Mineralogical Magazine 66, 459-464.